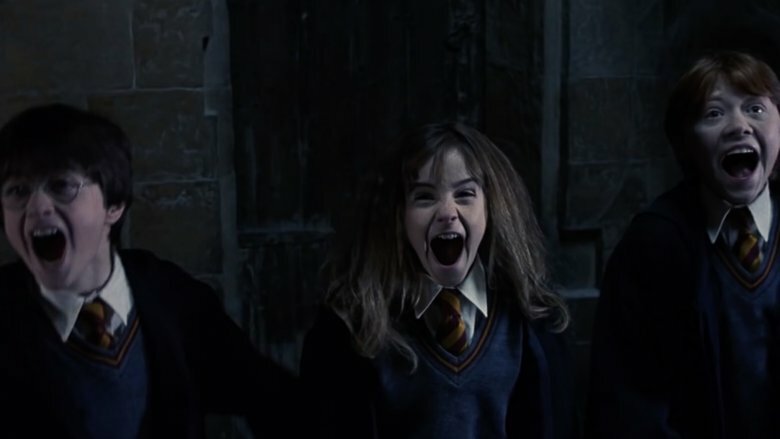 After so much time apart, we were ecstatic when the folks at HBO announced they were bringing the Harry Potter movie series in its entirety to their cable and streaming platforms and featuring it alongside the latest addition to the magical universe, Fantastic Beasts and Where to Find Them. Like so many muggles the world over, we hit our Harry Potter-verse binge hard — all 21 hours and 48 minutes of it — and we're now ready to rank the entire series, from The Sorcerer's Stone to The Deathly Hallows. Hold onto your wands, kids, 'cause the magic is about to begin. Beginnings are important in all things, but beginnings for a film franchise can be a tricky business, especially when that franchise is based on one of the biggest-selling book series in history. Considering what a thrilling experience Harry Potter and the Sorcerer's Stone was for readers of all ages when the books made their debut, there was reasonable expectation that this first film would deliver an equally thrilling intro to the big-screen series. Maybe it was the underwhelming performances of the film's young stars, or perhaps it was the generally apathetic direction by Chris Columbus, but Harry Potter and the Sorcerer's Stone was (and remains) a rather tepid affair. One that drags on for a surprisingly stuffy two-and-a-half hours. With its three-headed beasts, shape-shifting professors, flying brooms, and larger-than-life chess match, there's still magic to behold in Harry's first year at Hogwarts. Still, the film is so bogged down by Columbus' efforts to build the enchanted world of the films, without sacrificing too much of Rowling's book, that it fails to connect on a visceral level. In the end, this first installment of the landmark franchise is just magical enough to keep your attention, but it's also a bit of a snoozer on repeat viewings — even if it did make close to a billion dollars in worldwide box office. Even the most staunch defenders of Sorcerer's Stone's big-screen adaptation have to admit the film lacked in both energy and, well, magic. It was a bit of a surprise then that Chris Columbus was offered the director's chair for Harry's second year at Hogwarts, Harry Potter and the Chamber of Secrets. Columbus knocked Chamber of Secrets out of the park, bringing a genuine sense of discovery, and even danger, to the famed school surrounded by whomping willows, spider-filled forests, and the titular Chamber of Secrets. All of this as Harry and friends begin to unravel the riddle that is, um, Tom Riddle. Unfortunately, Chamber of Secrets still sees stars Daniel Radcliffe, Emma Watson, and Rupert Grint struggling to find their way as actors. Columbus struggles with tone and pacing as well. 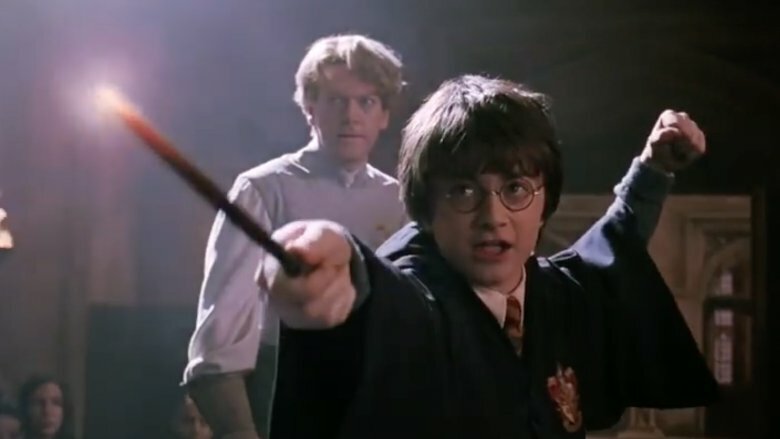 Though Chamber of Secrets eclipses Sorcerer's Stone on virtually every level — particularly when Kenneth Branagh is on screen — its almost three-hour runtime makes it a bit of a slog to sit through, and the film's overall lack of style certainly played a part in Warner Bros.' decision not to offer Columbus the third film in the franchise, Prisoner of Azkaban. More on that film later. After cheating death for three straight years, Harry's fourth year at Hogwarts proved to be his most perilous yet. 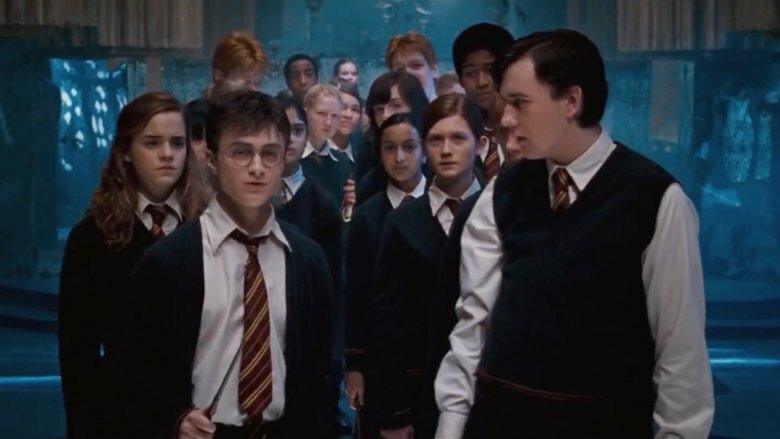 Harry Potter and the Goblet of Fire finds the tortured teen wizard struggling to navigate the choppy waters of coupling in the wizard world, competing as the youngest-ever contestant in the perilous Tri-Wizard Tournament, and facing down the murderous dark lord himself, Voldemort. If it sounds like there's a lot going on in Goblet of Fire, that's because there is. A bit too much to be honest. After all, Goblet of Fire is based on the second-longest book in J.K. Rowling's beloved series. Even with a runtime approaching two hours and forty minutes, it still feels like this adaptation is glancing over, or flat out ignoring, too much of Rowling's book. Mike Newell's overall approach to Goblet of Fire's narrative is largely to blame for that. The director focuses the bulk of the film's time and energy on the daring trials of the Tri-Wizard tournament and nowhere near enough time on the wizards involved in them. That approach easily makes Goblet of Fire the most action-packed entry in the series, but the film is so lacking in nuance that when one of the Tri-Wizard competitors meets an untimely end, we've spent so little time with him that the tragedy (and the sense of danger that should accompany it) barely registers. Upon revisiting Goblet of Fire, we can't help but wonder if it might've worked better as a two-parter. After seven epic novels and eight super-sized movies set almost entirely within the hallowed halls of Hogwarts, even the biggest Harry Potter fans were feeling like J.K. Rowling's enchanted world of wizards and witches was beginning to feel a little too small. Seems the famed author was in agreement on that matter. Rowling's first post-Potter film, and the first film she herself wrote, Fantastic Beasts and Where to Find Them, takes the magic about as far away from Hogwarts as possible and into the bustling streets of 1920s New York. While The Big Apple proves a welcome change of scenery for Rowling's world, to call Fantastic Beasts a mere experiment in world expansion would be a dramatic understatement. Free from the world of O.W.L. exams and unending teen angst, Rowling's thrilling tale of adult wizards dealing with adult wizard problems in adult wizard ways feels like an outright revelation. Rowling fills the tale of Fantastic Beasts with enough action, adventure, and magical minutiae to rival any film in the Potter-verse, and even if the writer's spellbinding narrative often feels a little too action-heavy, it still manages to keep the human element front and center. 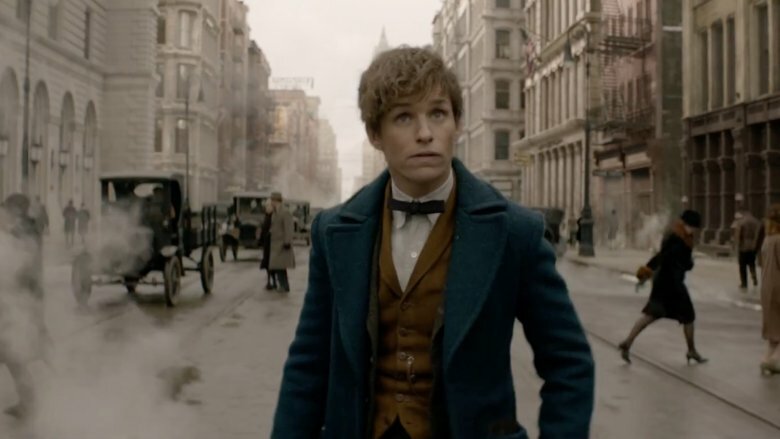 As such, it's Katherine Waterston's tenacious Government agent, Dan Fogler's wide-eyed "no-maj," and Eddie Redmayne's endearingly oddball wrangler Newt Scamander that make Fantastic Beasts such a whimsical, well-rounded addition to Rowling's magical world. One that's got us amped to see its upcoming sequel, The Crimes of Grindewald. As much pressure as there was on J.K. Rowling to bring Harry Potter's literary journey to a satisfactory close when Deathly Hallows hit bookshelves, the pressure was even higher for director David Yates to do as much for the billion-dollar cinematic franchise. That pressure was so intense that Warner Bros. decided to split the final film in the series in two with the hopes that David Yates and his team could give the franchise the sendoff it deserved. Against seemingly impossible odds, Yates managed just that with Deathly Hallows Part 2. In this closing chapter of the final Harry Potter franchise, Yates' team covers Harry, Hermione, and Ron's desperate search for Voldemort's Horcruxes, Snape's surprising backstory, the epic Battle of Hogwarts, and Harry's fateful showdown with the last heir of Slytherin. Even as the second act of a two-parter, it feels like too much narrative for one film. However, Yates manages to squeeze all the inherent action and drama — and a number of characters too great to mention — into the shortest film in the franchise. That he does so without slighting any of the subtleties or overarching dramas that made the series such a compelling narrative experiment was no small achievement. Every thrilling moment of Deathly Hallows Part 2 coalesces to deliver a finale that's stimulating both emotionally and intellectually. Every moment, except for that 18 years later finale that still feels both tacked on and a bit silly, mostly because Neville and Luna aren't included. After the roller coaster ride that was Order of the Phoenix, it seemed unlikely that Harry Potter and the Half-Blood Prince could match its predecessor in terms pure emotional energy. 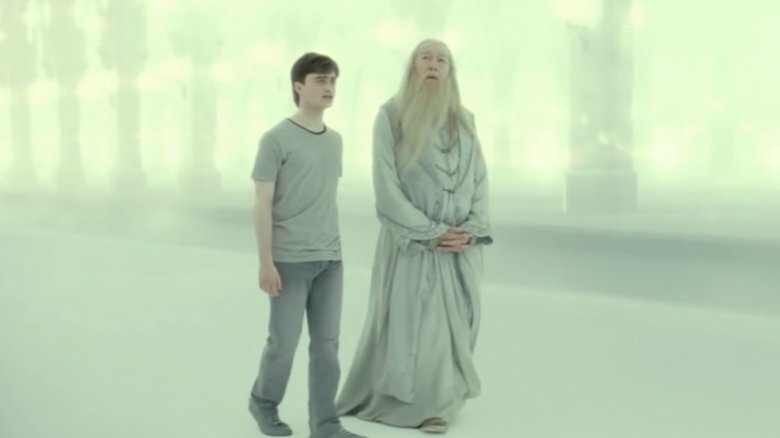 In many ways, Half-Blood Prince actually bests Order of the Phoenix on the dramatic front. Of course, the film's impact is bolstered by a devastating third-act death, but the impact of that moment also hinges entirely on the buildup to it. Luckily, buildup is Half-Blood Prince's specialty. 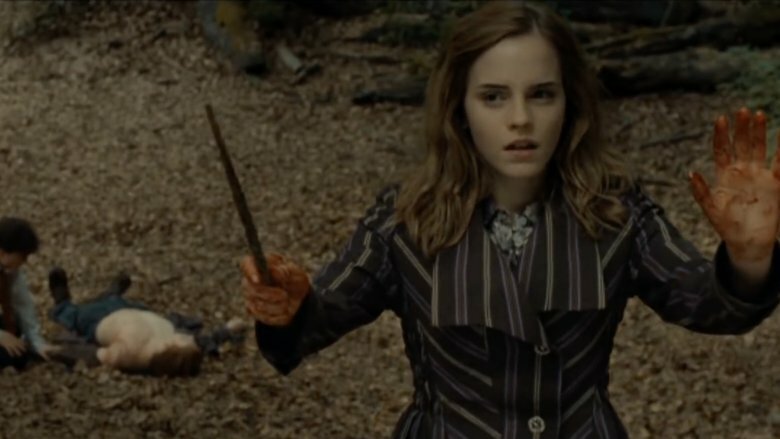 The film essentially serves as a two-and-a-half hour expository tale that sets up the final chapters in Harry's story, Deathly Hallows 1 and 2. 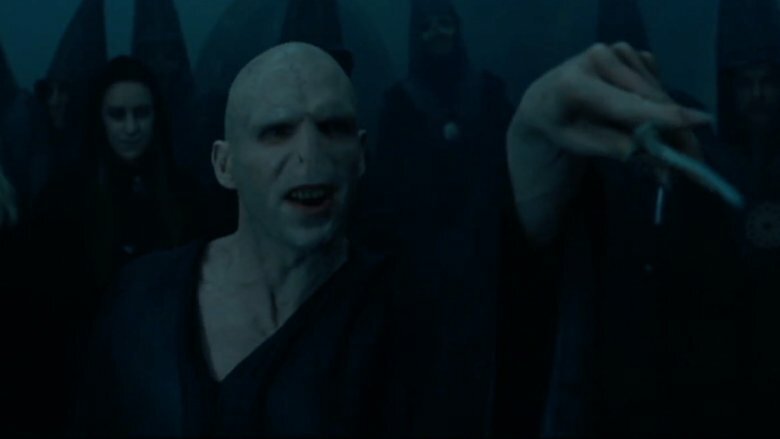 While that may sound like a bit of a bore, the penultimate film (well, sort of) in the series finds Harry and friends continuing to fight the good fight while unraveling the deep, dark secret that's made Voldemort all but immortal. Structured more as a pulpy detective story than a magical adventure tale, Half-Blood Prince is the one film in the series that can be qualified as a genuine slow-burner. One that sees director David Yates (backed by Bruno Delbonell's Oscar-nominated cinematography) skillfully guiding the film's puzzle-like narrative and holding each of his pieces until the exact moment they must be placed. Half-Blood Prince may test your patience with its pacing, but it delivers on the promise behind its mysteries. That said, the final revelation about the Half-Blood Prince's identity still doesn't pack the wallop it should. There was the Harry Potter franchise before Prisoner of Azkaban, and there was the Harry Potter franchise after. If you're uncertain about whether that's a good thing, take a moment to revisit the rankings for Sorcerer's Stone and Chamber of Secrets, and you'll understand how necessary it was for Warner Bros. to bring a fresh set of eyes on board for the third film. Mexican auteur Alfonso Cuarón brought more than fresh eyes to Prisoner of Azkaban, he brought a whole new perspective to the magical franchise by grounding it in humanity. Of course, Cuarón benefited greatly from the fact that the first two films painstakingly set up the characters, settings, and larger story arcs that became the mainstays of the franchise, but one cannot understate just how much style the director brought to Harry's world. Even from the film's opening moments, colors felt brighter, lights and shadows seemed to come alive, performances were more natural, the blending of effects more fluid, and, above all, the film is crackling with a youthful energy and overarching sense of danger all but absent in the prior films. That energy drew us into Harry's life in ways the first two films hadn't. It's the reason the Dementors attacks on him are so frightening, it's why we shudder at the thought of Sirius Black getting his murderous hands on Harry, and it's what left us weepy as Black's real motives were revealed. That energy not only brought the wonder back to Hogwarts, it fundamentally altered the direction of the franchise. We must not tell lies when talking about Order of the Phoenix, so we'll come clean and tell you it remains the first film in the franchise that actually brought us to tears. That emotional response came as a bit of a surprise after the dramatic misfire that was Goblet of Fire, even if that film's most thrilling moment helped to set it up. 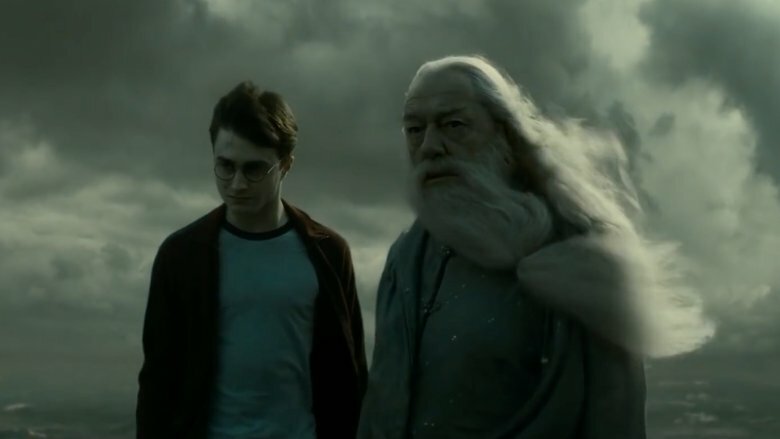 That thrilling moment being Harry's first showdown with a fully resurrected Voldemort. The dread spawned around that showdown permeates through every single frame in Order of the Phoenix. An authoritarian regime in rising within the Ministry of Magic, and, behind it, one of the great Harry Potter villains, the mirthfully malicious Dolores Umbridge, who seizes control of Hogwarts. All this while Harry shares terrifying visions with Voldemort, Dumbledore freezes Harry out, and Dumbledore's Army assembles. As with all of the Harry Potter movies, there's a lot going on in Order of the Phoenix. Unlike many of its predecessors, however, Order of the Phoenix never feels overwhelmed by its narrative ambition. 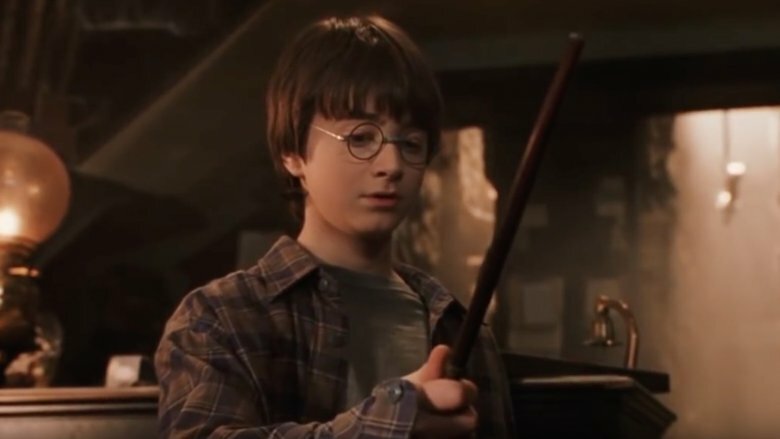 It plugs along at a brisk pace, covering the bases (including the series' first full-on wizard fight), delivers one of the series' biggest emotional payoffs in its harrowing final moments, and proves the greatest trick David Yates pulled in his four Potter flicks is that he turned the longest book of the series into the second-shortest film in the franchise. The end of Harry Potter marked not just a farewell to one of the most beloved franchises in history but the legit end of an era. For that reason, Warner Bros. decided to split Harry Potter and the Deathly Hallows into two separate films in service of telling the whole story — and doubling their profits of course. Luckily, finale director David Yates brought the franchise home with a bang in Deathly Hallows Part 2, but that's only because he set the finale up so well with Deathly Hallows Part 1. Equal parts brooding character study, rambling road movie, and treatise against fascist bureaucracy, Deathly Hallows Part 1 unfolds with a propulsive immediacy unseen in any prior Potter film, mostly because it's set almost entirely outside the grounds of Hogwarts. In fact, Harry, Hermione, and Ron spend much of the film completely isolated from the allies who have backed them up in every film prior. As such, Deathly Hallows Part 1's emotional crux lay squarely on the shoulders of Radcliffe, Watson, and Grint, who step up to deliver their strongest performances of the series. In turn, Yates and his team deliver the series' most stylish film, shooting in lavish, isolated locations, utilizing breathtaking visual effects, and delivering the most memorable sequence of the entire franchise with a jaw-dropping, animated account of the titular artifacts. Though Deathly Hallows Part 1 spelled the beginning of the end for the storied franchise, it stands as the crowning achievement in the adaptation of Rowling's magical mystery world. One that continues to thrill on repeat viewings.